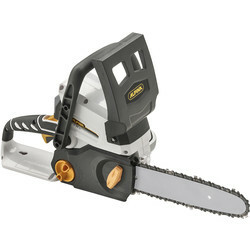 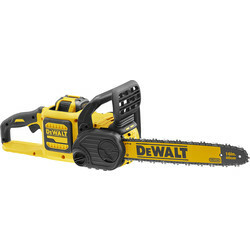 Browse a selection of chainsaws at Toolstation to efficiently cut and trim bushes, trees and more. 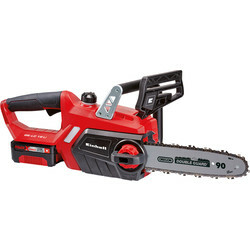 We stock electric, petrol, battery and cordless chainsaws from trusted brands including Einhell and Greenworks. 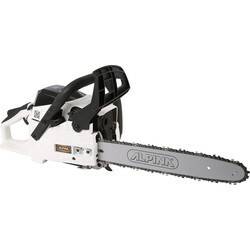 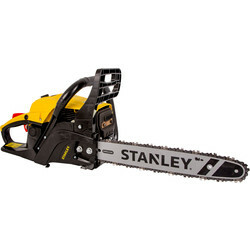 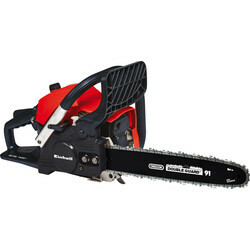 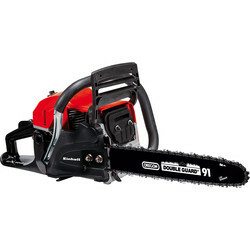 Electric chainsaws are easy to operate and are relatively quiet. 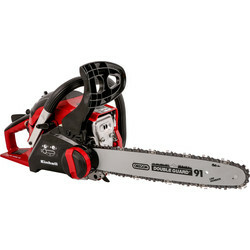 Find electric chainsaws such as the Einhell electric chainsaw with kickback protection, a 5m long cable and sturdy metal claws, ideal for sawing firewood and cutting small trees. 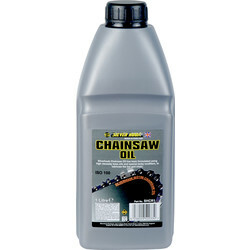 Alternatively, petrol chainsaws can be more powerful and better suited to larger jobs. 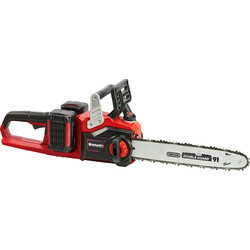 Consider the Einhell petrol chainsaw with a chain speed of up to 21m/s and a 1.5kW low vibration petrol engine. 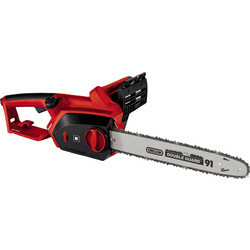 For freedom of movement on the job, battery and cordless chainsaws are best suited. 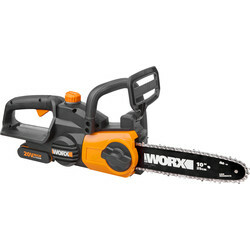 The Greenworks 60V battery chainsaw uses 'DigiPro' technology which delivers up to 30% more power and 70% less vibration than petrol without the toxic emissions, noise and running costs. 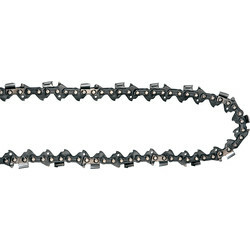 We also stock replacement chainsaw chains to ensure your chainsaw is always in good cutting condition. 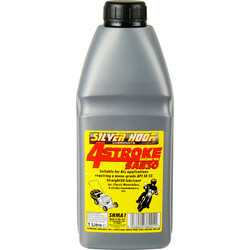 Spend over £10 online to qualify for free delivery or click and collect from your closest branch.